For our latest edition of Country Catalyst, the special feature that presents a country music classic in the hope that it might make some new fans for the genre, we present a song with a historical subject. Originally written by country/folk legend Jimmy Driftwood, “The Battle Of New Orleans” became a huge crossover hit in 1959 for country star Johnny Horton, who had several chart-busters during a career that tragically ended prematurely. 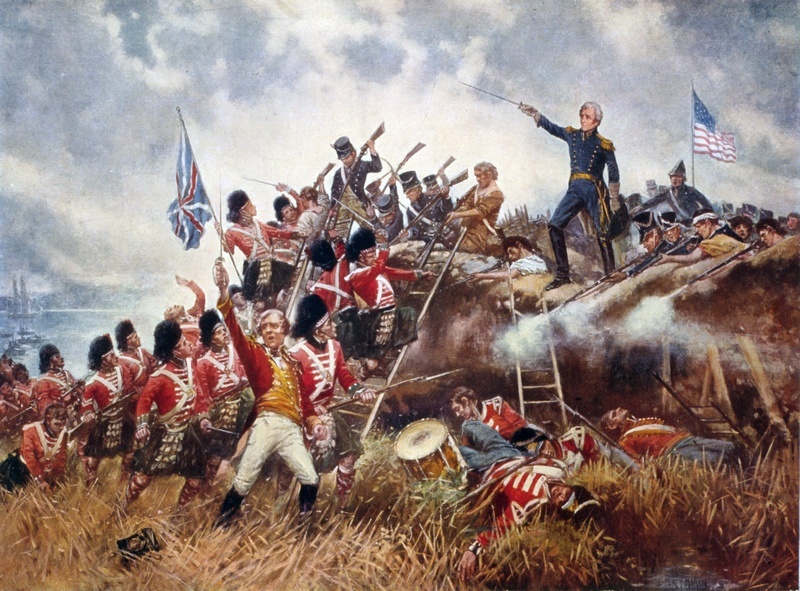 The Battle of New Orleans occurred early in 1815 and was the last big conflict of the War of 1812. Future president Andrew Jackson and his troops defeated the invading British forces, securing New Orleans and helping make sure that the young United States could continue to expand into the West. So the story goes, it was that event that inspired Driftwood — at the time a young teacher and school principal still using his real name, James Morris — to add lyrics to an old country melody, hoping to inspire his students to learn history. Eventually he performed the song professionally and recorded it too, as did a number of others, but it was Johnny Horton who made it a huge hit in 1959, topping both country and pop charts. It would end up being recognized as Billboard’s top charting country song of all time. Sadly, Horton died in an auto accident the following year, but his megahit made the song a very familiar one and inspired several others to generate their own versions. One of the biggest sellers was — ironically enough — recorded by the British star known as the King of Skiffle, Lonnie Donegan. You can hear him in the video below, but even though he appears to be singing it from the American viewpoint he usually prefaced the song with some humorous remarks. Johnny Horton’s is the definitive version of the song, but the Nitty Gritty Dirt Band (a favorite band of mine) do a good one as well. Hoyt Axton has a good one too (you can tell I’ve been searching my music this morning). He’s not my cup of tea.